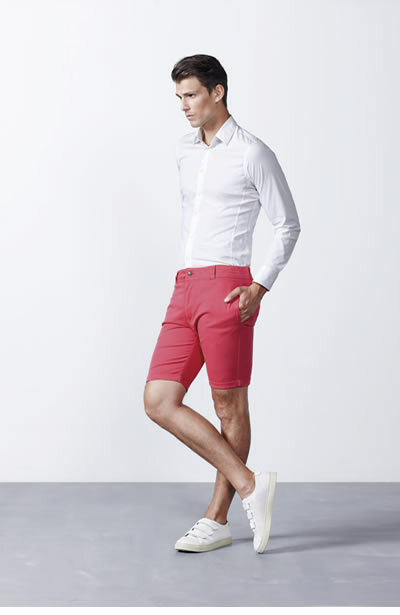 Shorts with folded cuffs and security stitch. Side and back pockets to one rib. 97% cotton / 3% elastane, 260 gsm.